I am trying to recreate my minecart station that I currently have in the overworld in the nether but i can seem to get it to function the same way. I have it setup to switch tracks automatically when a button is pressed and resetting when traveled over it. I have built it two different directions and still it is not functioning. Does redstone components act differently in the nether? I have built it two different directions and still it is not functioning. The "south-east rule" (qqv. https://minecraft.gamepedia.com/Rail#Placement & https://minecraft.gamepedia.com/Rail#South-east_rule ) still applies in the nether. As nether gates will change the directional facing of a transiting player, using the f3 screen to ensure the directional orientation of the station is the same is recommended. Yeah, as ScotsMiser points out, track bends have default positions when powered/unpowered by redstone regardless of how they were originally curved when placed. 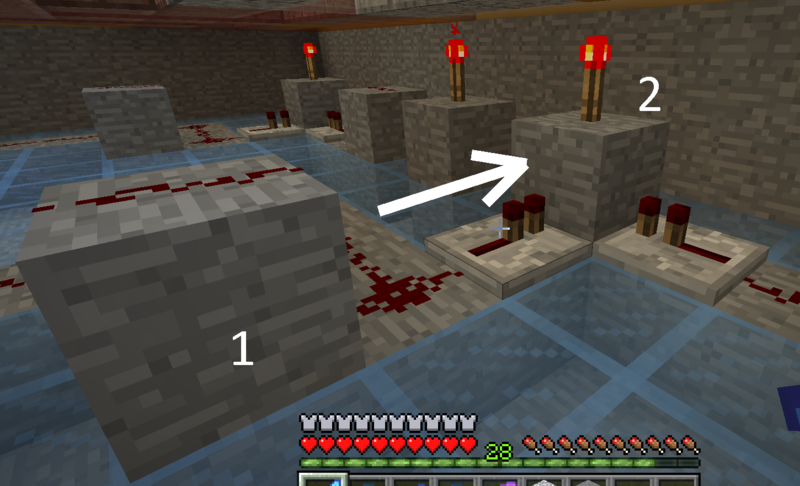 I have a few minecart stations in the Nether and my track is switched automatically when i select a track then when the cart exits it passes over a detector further along which resets the track. You should really have no issues if you are powering the track underneathh via a restone torch, because whichever way round it works as default, you can adjust the system to invert or not when you press a button. You can see on the attachments below two diff junctions in my world, both switch a a track via the torch (2) when a button connected to (1) is pressed. However one example has an extra torch which inverts the track torch by default. Therefore, in one example the track torch (2) is on by default and goes off when the button is pressed, and in the other its off by default and comes on when the button is pressed.